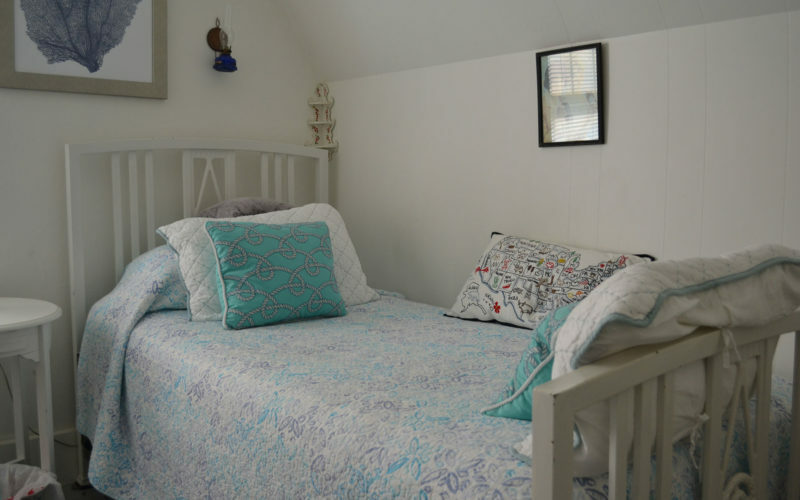 Quaint and cozy the smallest of the three rooms has a single bed with a trundle bed available. This room is perfect for children or a single guest. Come relax by the beach. Rate: $125.00 per night. 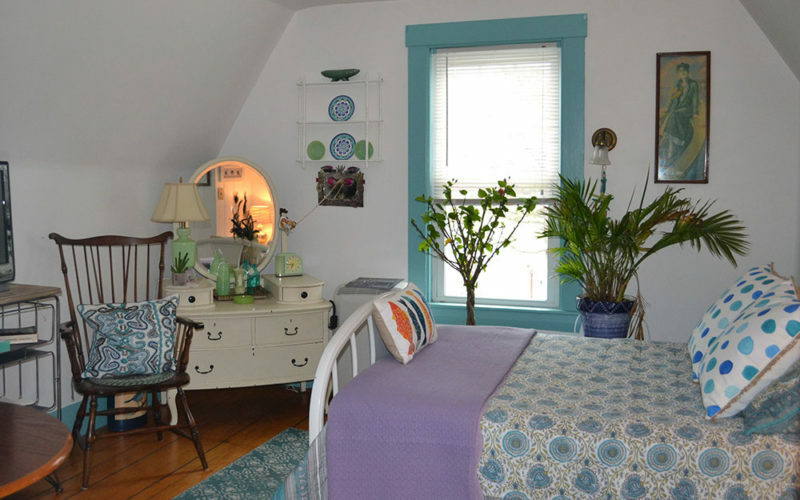 Victorian charm decorated with an artful beach flair. This room features a double bed. A twin size cot is also available. Access to the private deck, garden, and beach. Rate: $145.00 per night. Listen to the Maine ocean waves crash on the beach while the cool breeze blows through the window. 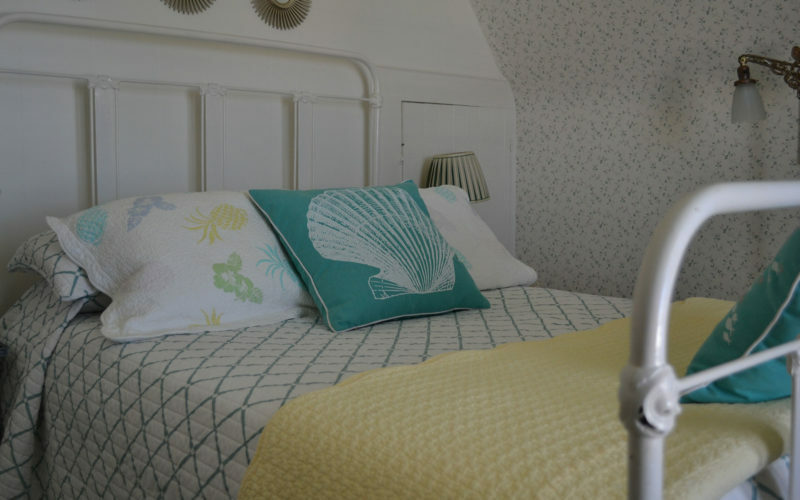 This room features a double bed with ocean views. Rate: $145.00 per night. *ALL rooms require a two night minimum stay.